Because it’s a less regulated area than human clinical IVD, companies that make diagnostic products have been attracted by the faster approval times and, in some cases, higher profit margins. While of the two sub-markets within this industry, pet diagnostics is stronger in terms of growth when compared to food animal diagnostics. However, Kalorama still believes that food animal diagnostics will drive growth in the market. It’s hard to predict animal disease, but a lot is going on in this market. Emerging nations are beginning disease control and eradication programs that will boost global markets for food animal diagnostics. 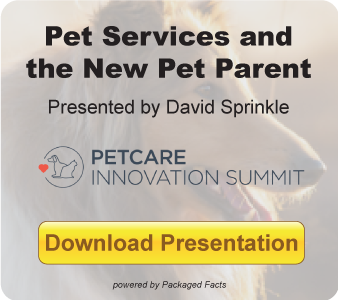 Rise of the Companion Animal Diagnostics Sector in the U.S.
There’s also another major factor – new products to test animals. The penetration of easy-to-use molecular diagnostic test kits for veterinary infectious diseases also represents another factor improving the value of the global food animal diagnostics market. U.S. veterinary diagnostics have predominated in the companion animal or pet segment. Since 2012, new market players for animal tests in the United States – Biogal/Galed Laboratories, Princeton BioMeditech, and InBios – launched tests for canine distemper, canine heartworm, and West Nile virus. In fact, of the infectious disease tests introduced to the market between 2012 and 2014 in the U.S., almost half were targeted at companion animal diseases, disproportionate to the significantly wider portfolio of livestock disease tests. 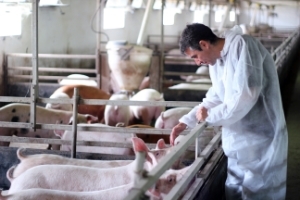 Europe, on the other hand, has seen more food animal testing, where several disease eradication programs boosted livestock testing in the past decade. Kalorama found 14 livestock infectious disease tests in the U.S. delisted (as part of portfolio management or company withdrawal from the market) and 9 introduced (in most cases with competitive tests already on the market). So, that’s more tests going off the market than coming on. Three of the tests removed were from vendors still offering a “me too” test – a test for the same target disease. The near equal rates of product addition and attrition indicate a largely flat market for U.S. livestock infectious disease diagnostics. Market growth is predicated upon disease outbreaks and management; the United States has seen no recent, market-significant outbreaks and active disease eradication programs have focused overwhelmingly on industry practices and vaccination.